This post is sponsored by Backcountry. Thank you for supporting, Simply Taralynn! We all connect with nature differently, and what we take from it is all up to us. I spend a lot of time indoors writing, creating content, and as soon as I step outside, my mood changes, my energy increases, and my stress levels start dropping. 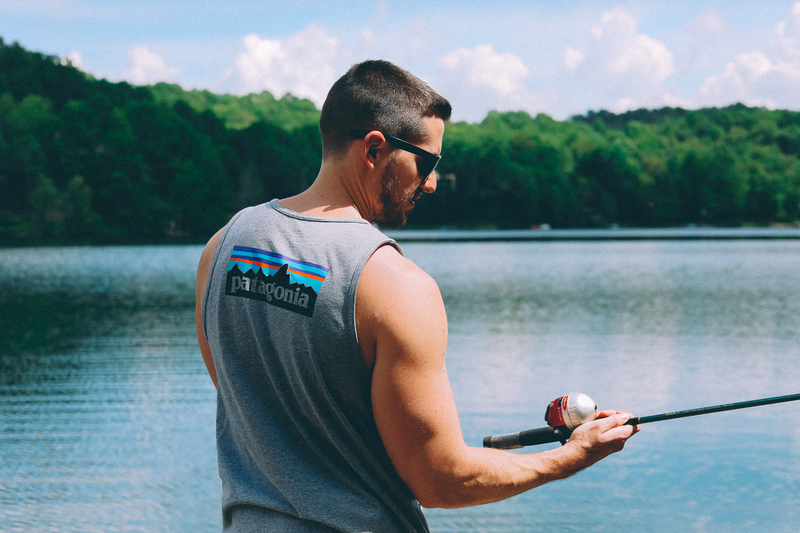 You don’t have to go backpacking, rock climbing, or water rafting to connect with nature. 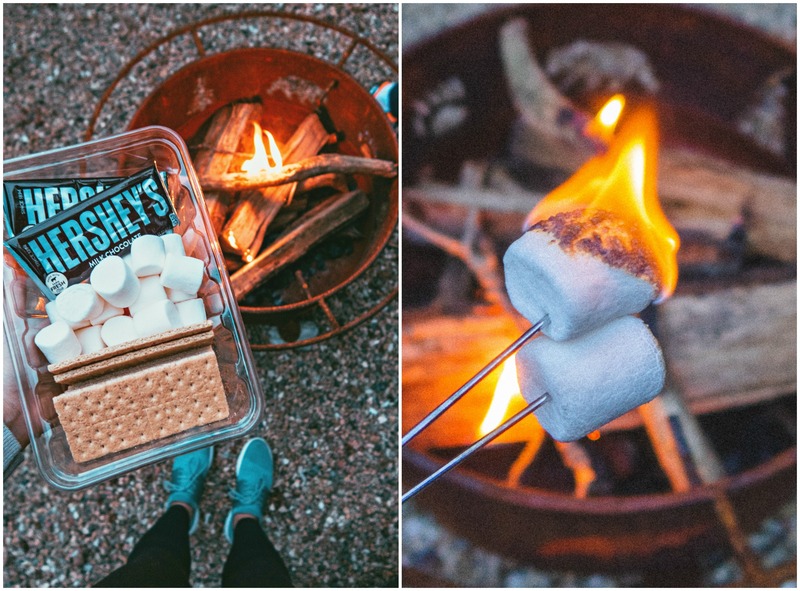 It can be as simple as walking your dogs, sketching a scenery at the park, or roasting marshmallows by the fire. What makes you get outside is what builds your personal and unique relationship with nature. There are so many things that get me outside, and lately, I’ve been conquering new adventures that I’ve been afraid of like swimming at night with the manta rays, snorkeling in shark-infested waters, joining a local tennis club (where I knew absolutely no one), jumping out of airplanes, flyfishing, and even taking a surfing lesson. I’m always looking for new ways to connect with nature, and each time I try something new, I feel like the relationship between nature and I grows stronger. 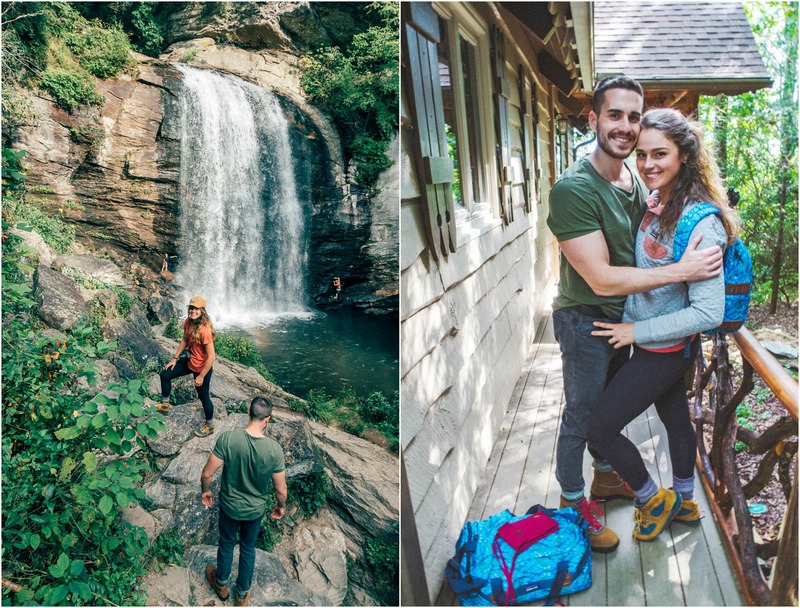 This past weekend, I escaped to the North Carolina mountains to spend time in nature with the ones I love. Spending the weekend without social media distractions and waking up to the mountain views instead of my T.V. screen was very therapeutic. 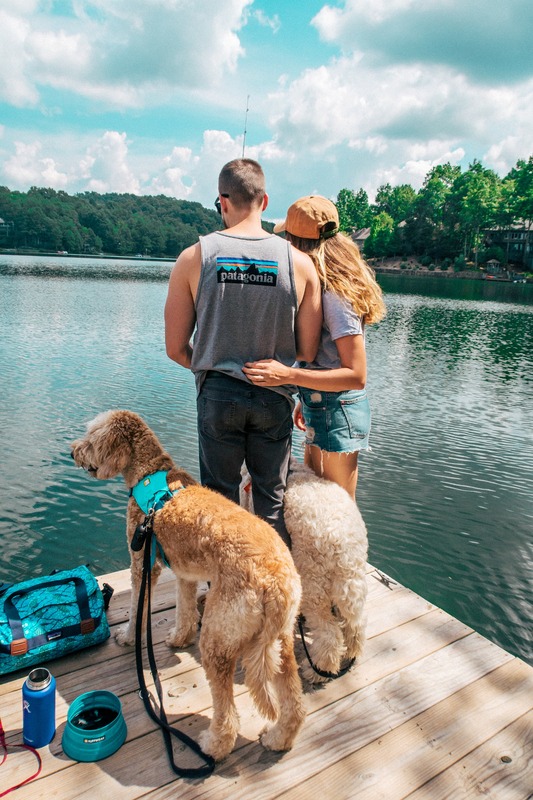 I’m excited to be partnering with Backcountry today to talk about what gets me outdoors, and I hope you feel inspired to plan your next adventure! I’m also going to be sharing some helpful tips for outdoor photography. 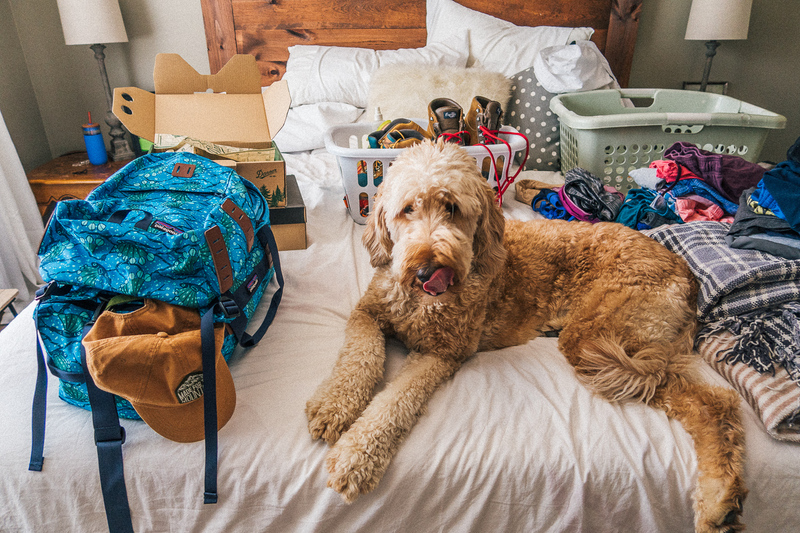 With every trip, there’s packing. There are two types of packers. #1. The super neat and functional packer and #2. The packer that creates a tornado scene just to fill one bag with everything they don’t need. I’ll let you decide which one I am. When you’re going away for the weekend, you only need one or two small bags. For this trip, I packed my clothes in a lightweight Patagonia duffel. I had been looking for a duffel bag this size for so long. It’ll fit perfectly on the airplane with me, and won’t be too large to carry around. It fit all of my outfits comfortably and kept me from overpacking. I struggle with packing way more than I need. I kept all of my toiletries in the large side pocket to remain separate from my clothing. I chose a matching backpack to carry my laptop, camera equipment (chargers, tripod, extra lens, cords, sd cards), and other essential gadgets. The bag has a padded pocket for laptop protection which I liked. 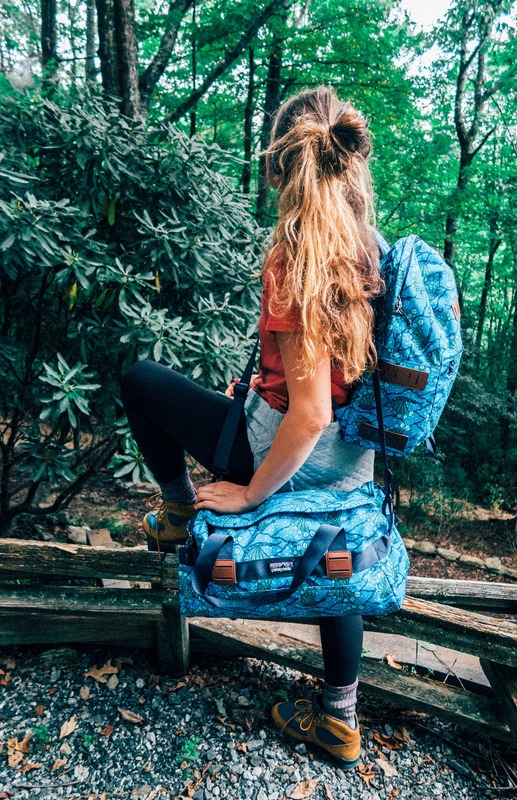 There are countless duffel bags and backpack options to choose from on Backcountry. If you have a trip coming up, make sure to browse their selection. Once it cools down here in the Carolinas, Kyle and I are going to go on a camping trip with the dogs. You guys know how seriously I take my coffee and snacks. I don’t function well without either of them. Backcountry has a section with non-perishable food, camping kitchen supplies, and everything you can imagine. I especially loved all their coffee and teapot options. The Kuju Pocket PourOver Coffee is great for outdoor camping, but to be completely honest, I’m planning on using these for when the power goes out during the hurricane later this week. Actually, a lot of the kitchen supplies on Backcountry make for smart hurricane preparation. If you need something last minute, Backcountry offers free 2-day shipping on ALL orders over $50 across the country! Their backpacking food selection includes all kinds of options! They have trail mix, oatmeal, mac and cheese, biscuits and gravy, couscous, and more! 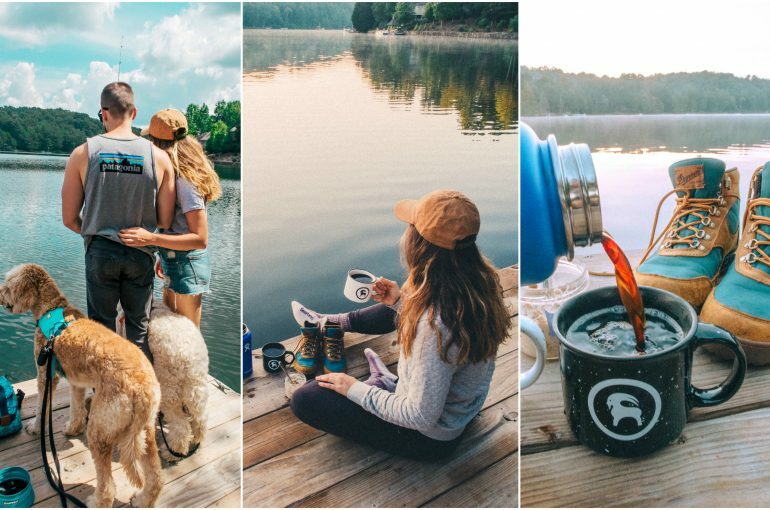 I’m excited to stock up on all of these fun goodies before we take off for our camping trip. 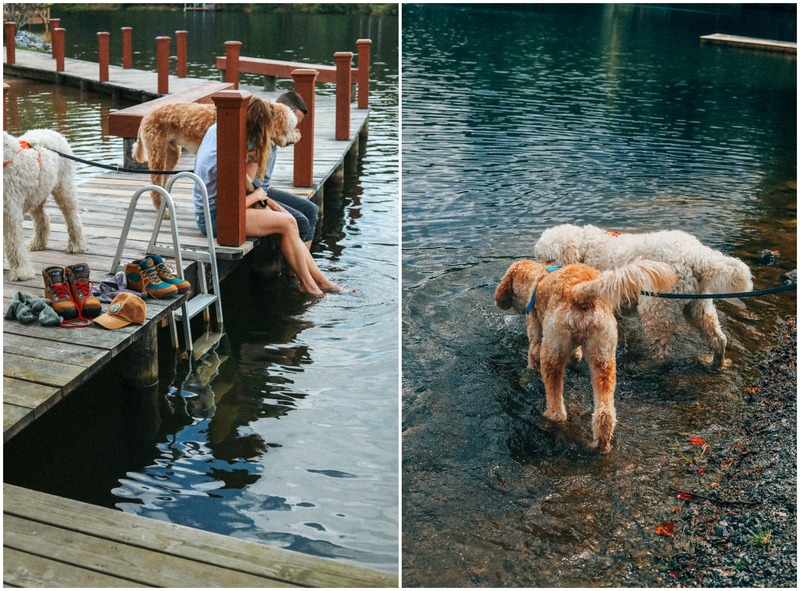 We took the dogs down to the lake for an afternoon of fishing on the dock. I love seeing the dogs in their element. They’ll do anything to be outside, and nothing makes me happier than seeing them run around and get dirty. 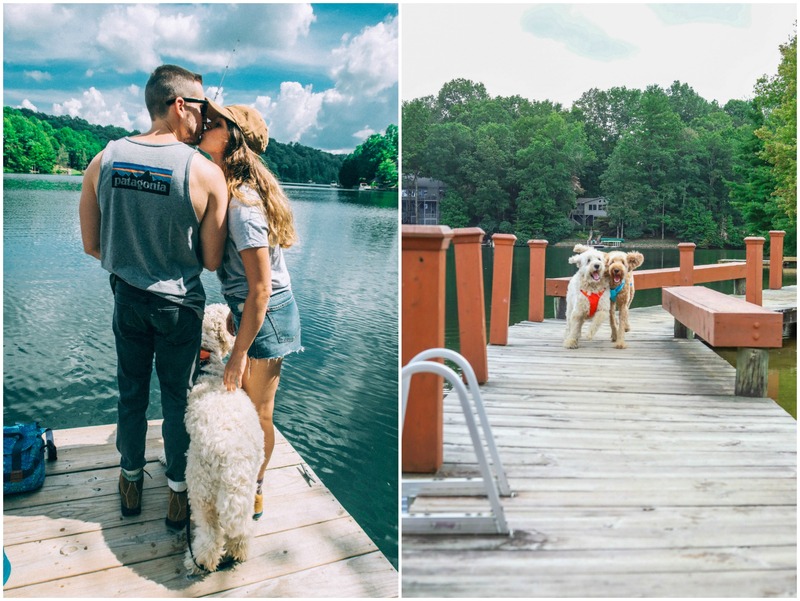 Dogs only live a short time here on earth, and it’s important to let them get wild in the mud, swim in the lake, and expose them to nature daily. It fuels their souls and makes them the happiest dogs in the world. The dogs and I start every morning at 5:30 am with a mile and a half dog walk around the neighborhood. We also end our nights the same way. The Muir Woods Redwood v-neck shirt I’m wearing is perfect a hot day out in the sun. It’s lightweight, and great for layering if you wanted to add a flannel on top. 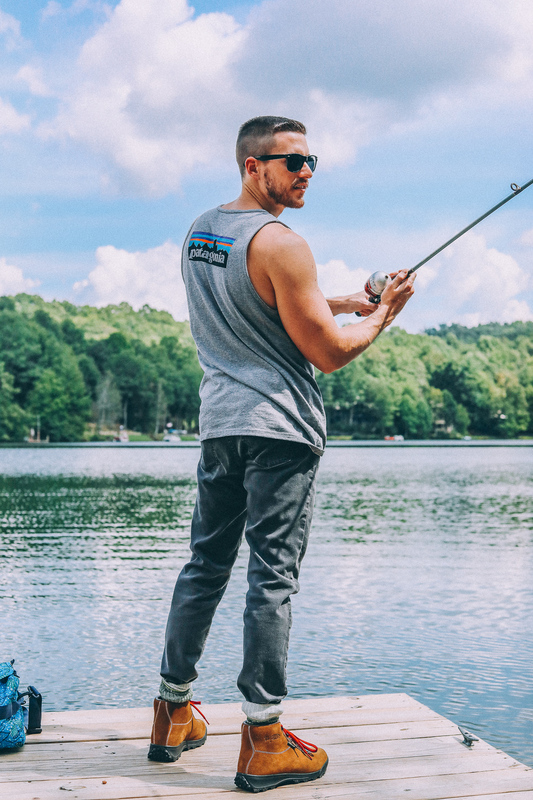 Backcountry has a ton of stylish, yet technical, clothing from different brands to wear for your everyday activities. Whether it’s yoga, hiking, running errands, they’ll have something that fits your lifestyle. Backcountry supplies items from the best brands such as Arc’Teryx, Patagonia, Fjallraven, Black Diamond, and more! I’ve been introduced to some new brands after looking at their website. 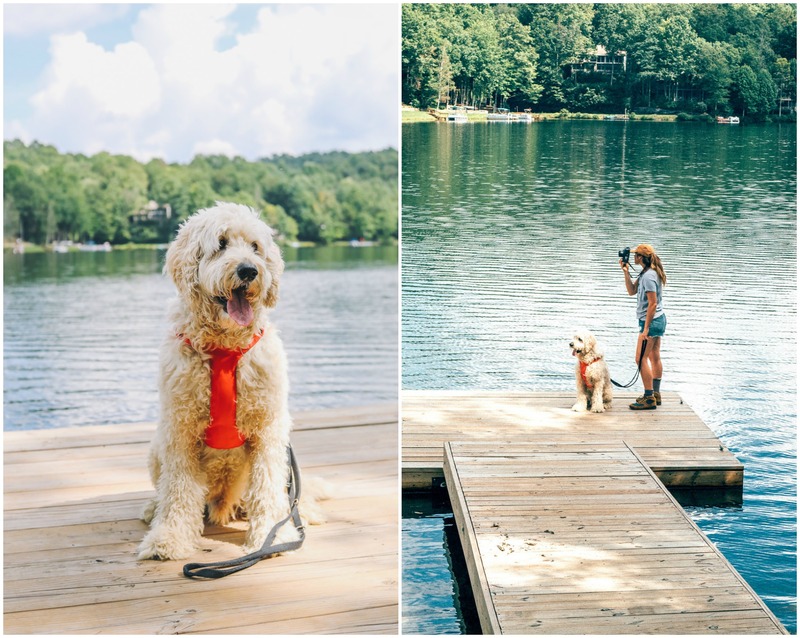 For the past two years, we have been big fans of Ruffwear for the dogs. I get asked about these heavy-duty harnesses daily! 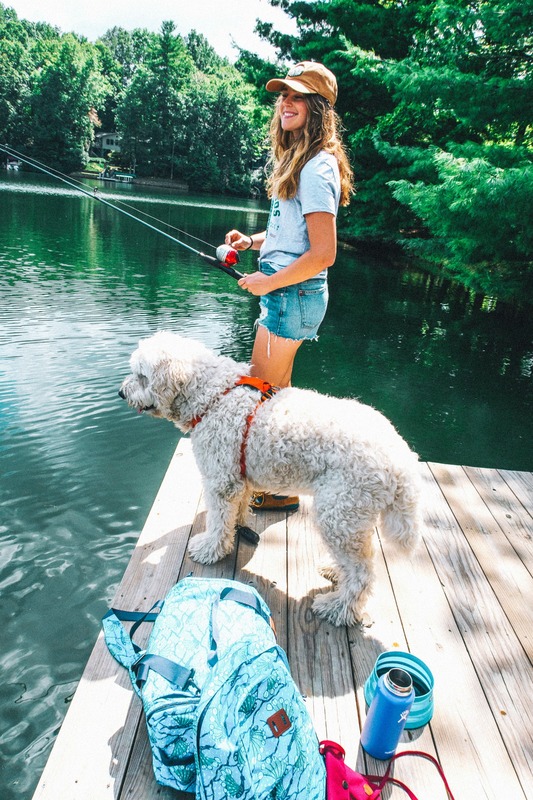 If your dogs are active and love being out in nature with you, then you’ll enjoy the dog section Backcountry provides. You’ll be able to find Ruffwear dog beds, boots, collars, leashes, portable bowls, doggy medical kits, toys, blankets, and more. 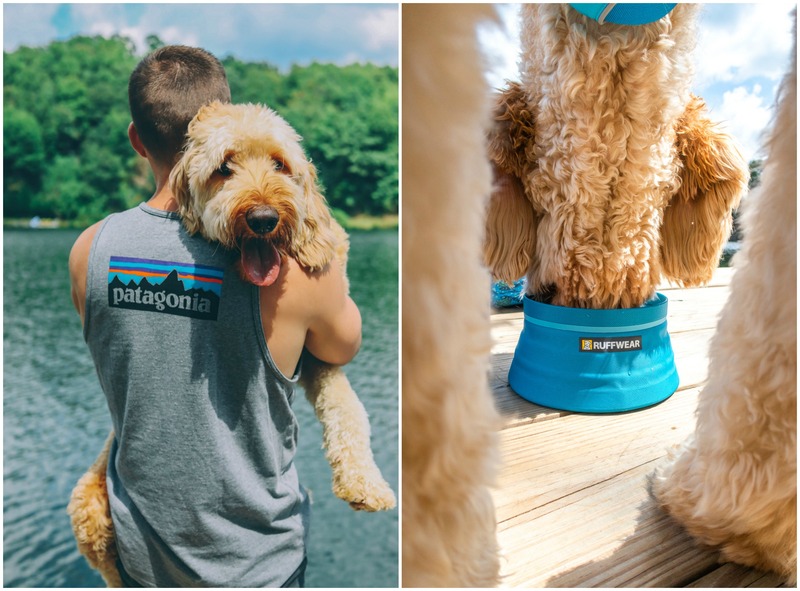 The harnesses that Grumples and Leo are wearing come in different sizes, colors, and have a pocket on the top to store things like keys, treats, doggy bags, or an emergency kit. Plus, they look so stinkin’ cute in them! The dogs put these harnesses to the test! 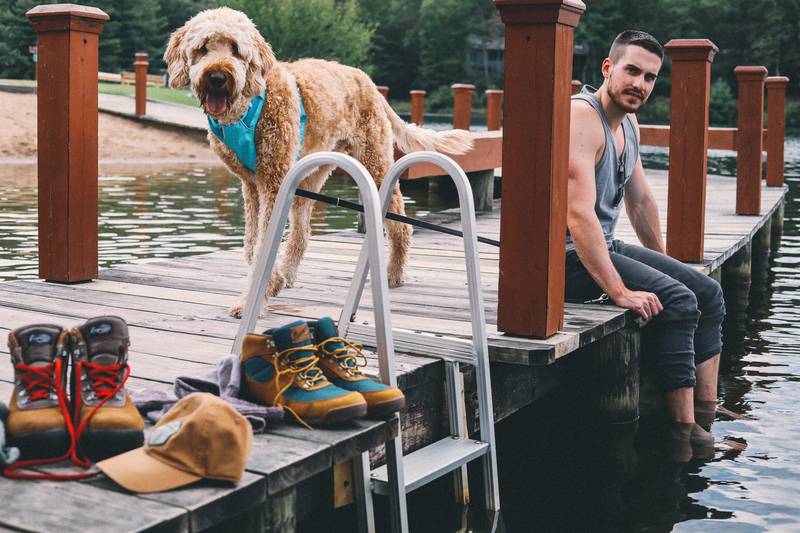 They’ve swam with them in the ocean, the lake, and have worn them on some pretty rainy hikes. They hold up perfectly! 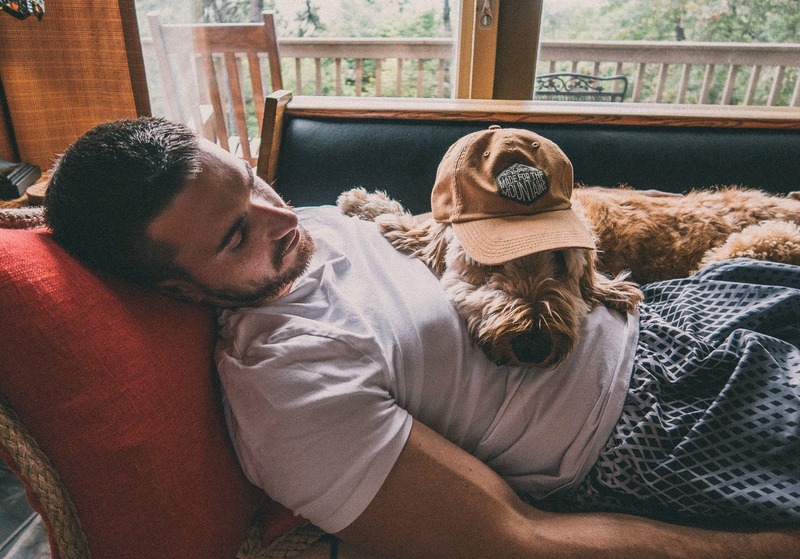 Since our dogs wear them several times a day, we wash them at the end of the month by soaking them in the sink with a drop of detergent, rinse them, and let them air dry. They always come out looking brand new. I’ve recently been diving into the YouTube world. Most of my adventures are now filmed, and its so much fun! I love watching back all of the special moments and reliving them all over again. I also found it difficult to carry around my camera for vlogging, a camera for photography, and my cell phone. 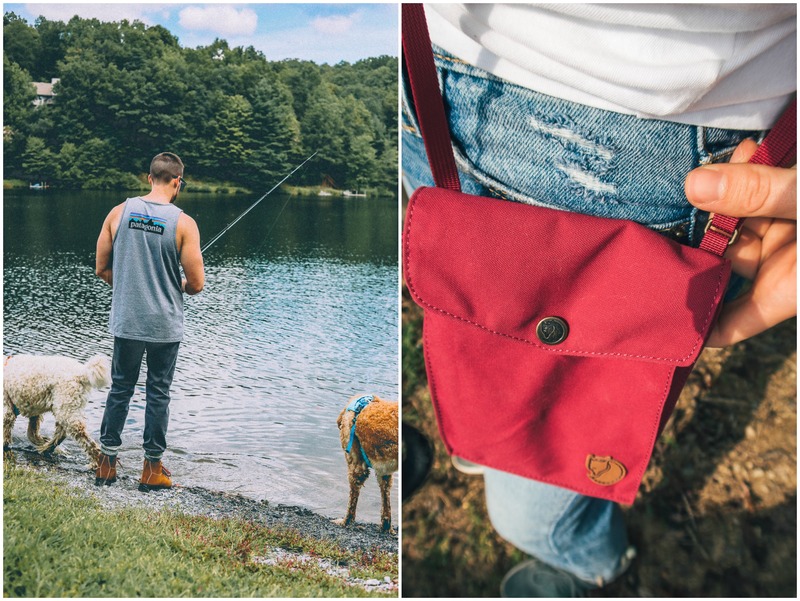 This pocket purse is a lifesaver! The material is heavy duty and holds my vlogging camera, credit card, and cell phone perfectly. I don’t have to juggle everything in my hands or jean pockets anymore. It comes in more than eleven colors, and I wish I could have them all. I went with the plum color. You can also adjust the straps to make it fall where you prefer. I highly recommend this to everyone! 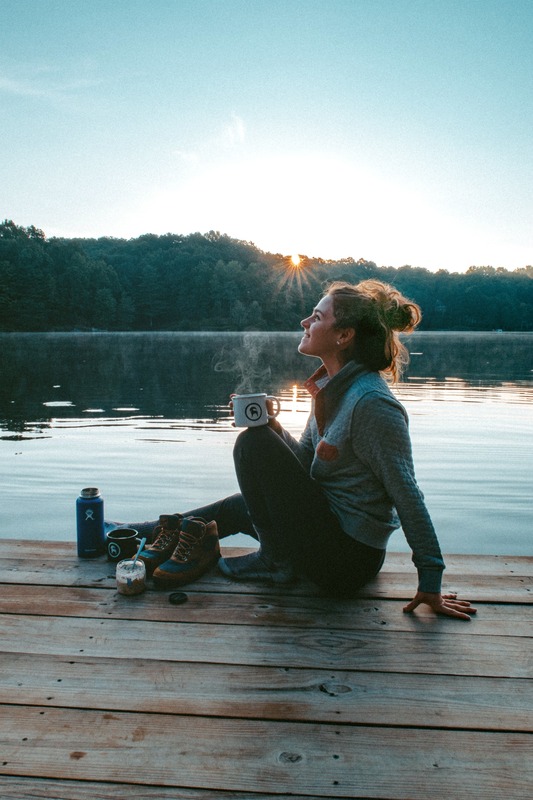 If you have a new adventure planned and don’t know where to start when it comes to packing or gear, definitely reach out to the gearheads available. All of Backcountry‘s gearheads are experts in their fields, whether it’s mountain climbing, yoga, running, skiing…and so on! 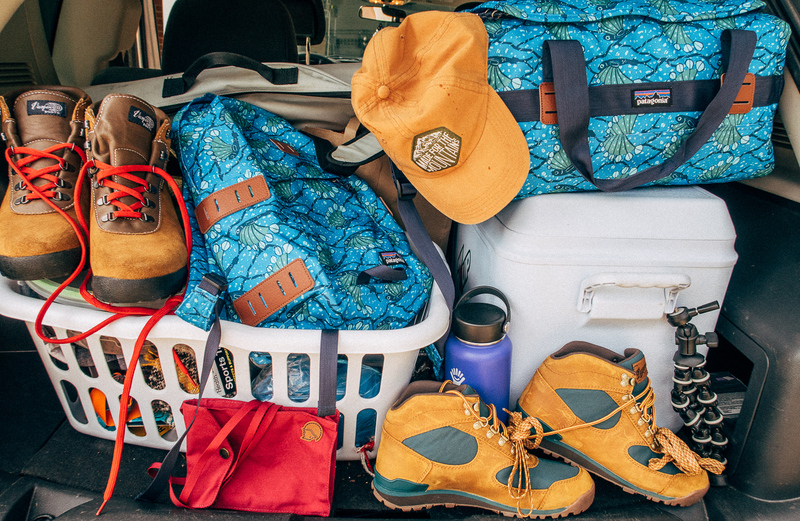 The gearheads have tons of knowledge about what gear you’ll need for your next adventure. 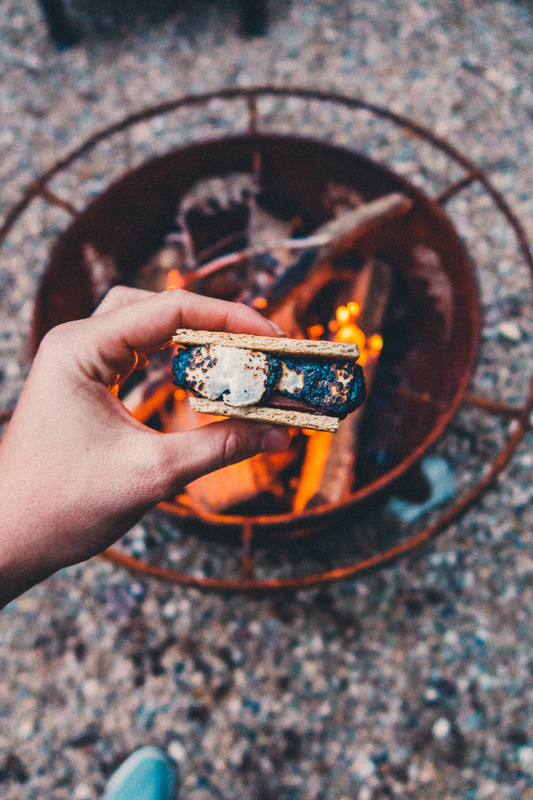 What would a mountain weekend be without roasting marshmallows and making smores? You can find portable fire rings and roasting sticks available in the camp kitchen section. 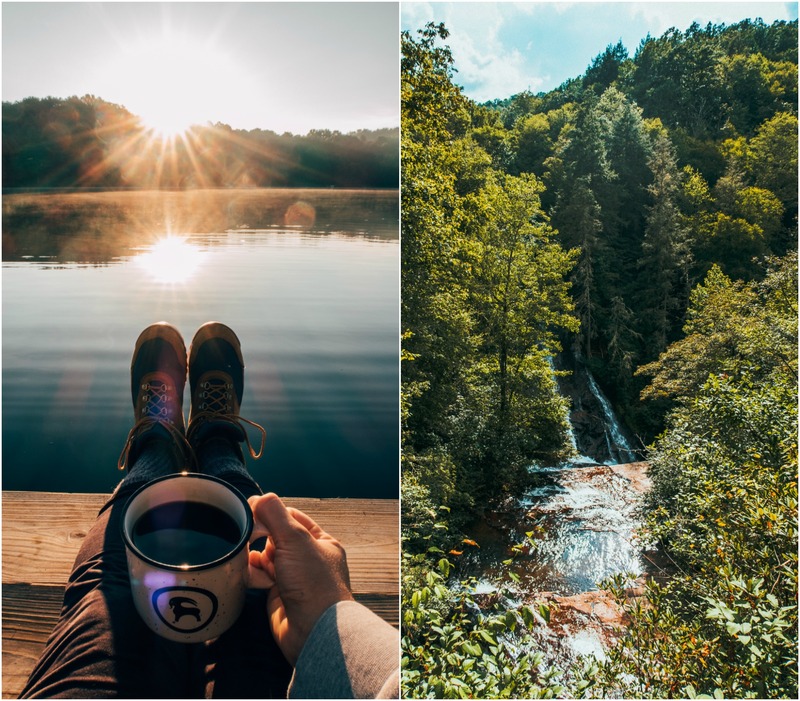 Backcountry loves to see their customers experiencing the outdoors and going on the adventures of a lifetime. 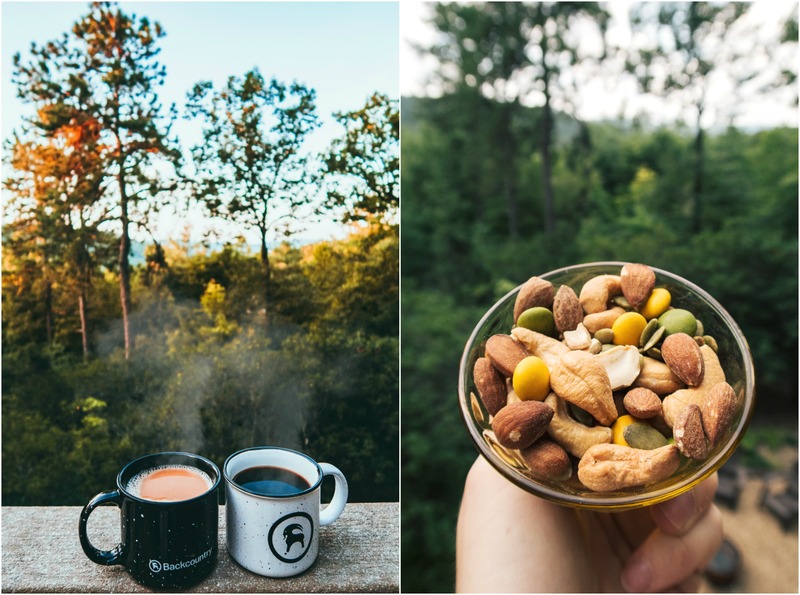 I try to plan adventures and do things that make me happy, even if it’s the small things. You all know how much I love my coffee and my crazy obsession with it. 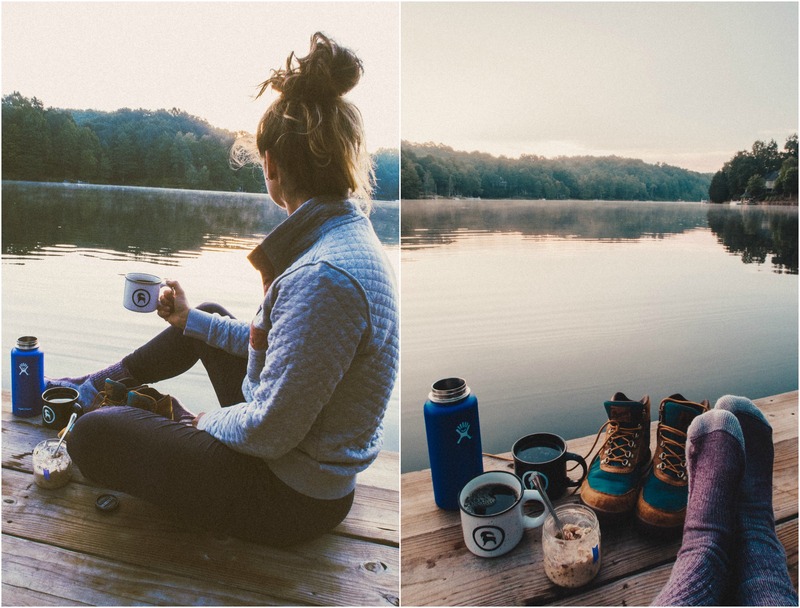 On this trip, my favorite part was waking up before the sun and having coffee on the dock by the lake. That moment was one of my favorites. Of course, driving cross-country and camping in national parks is #1 on my ultimate bucket list, but I’m just enjoying the small things for now! I’d like to know what your GOATworthy moment is? Or maybe something you’d like to do in the future. Wait, what the heck is a GOAT moment? Greatest Of All Time, moment. 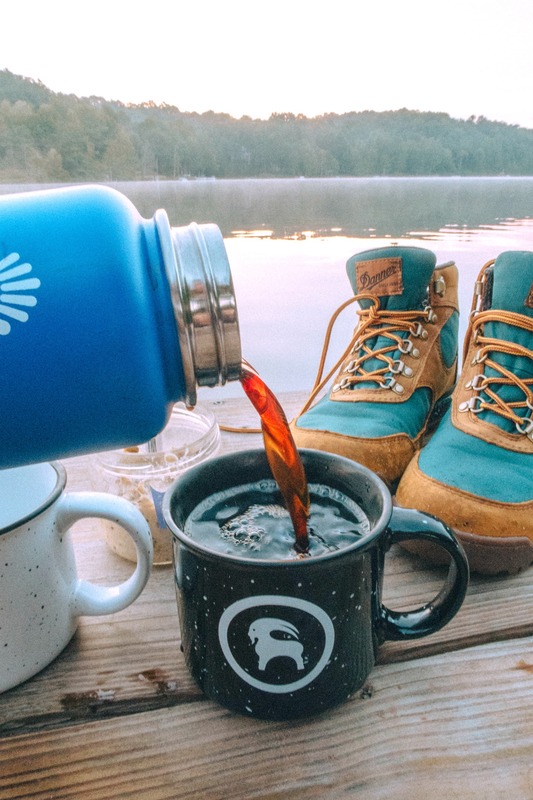 I brought these heavy-duty ceramic Backcountry mugs to the cabin with us for morning coffee. They are only $12.95! Backcountry also has my favorite brand of stainless steel bottles. 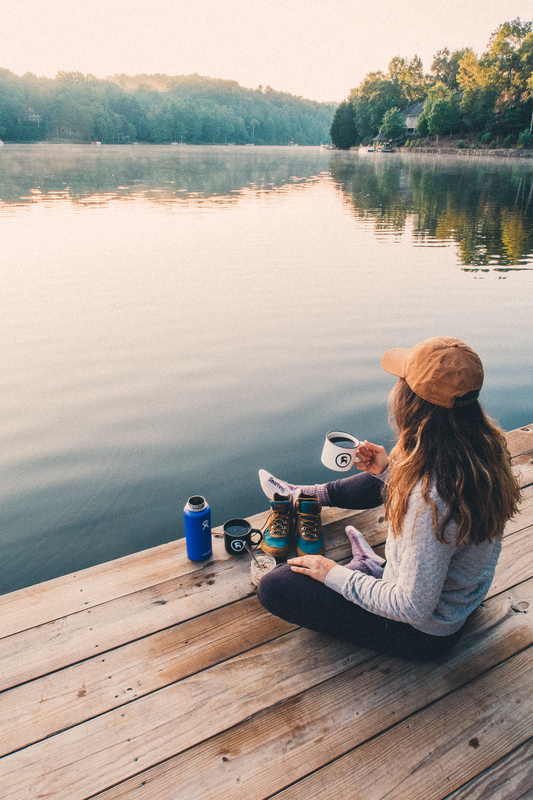 I use the Hydro Flask to keep coffee hot and water cold! I don’t know what I’d do without mine. This Patagonia pullover has quickly become one of my favorite items I own. I’m heading back home to Iowa next month, and I plan on wearing these every single day. Every piece of Patagonia clothing I own has never let me down. They are made to last! This Patagonia is so cozy and made from soft organic cotton. The classic diamond quilted pattern works as an effective heat-trapping system, which is going to come in handy while walking the dogs this winter. I love that the collar stands up to keep your neck warm. Now, I’ll need to get this in every color, and I’ll be set. One of my favorite parts about being out in nature is the photography. You don’t have to be professionally trained, or have the most expensive equipment to enjoy taking photos. I think the fun part is learning, experiencing, and growing your talent each time you take a photo or play around with editing. Here are ten tips for taking photos when you’re out in nature! Bring your tripod to stabilize your shots. Always strive for natural lighting. Take about five photos of the same shot. Play around with artistic angles. Don’t be afraid to get down on the ground, or climb up a tree. Play around with artistic filters to give your nature photos a personal touch. Rent new cameras and lenses to test out before you purchase. Aim for candids; those always turn out the best. Read articles or watch tutorials online from the pros! Anytime I take a good photo out in nature; my whole day is made! If I were to ever camp across the U.S., It would probably take me years because I’d be so busy taking photos of everything I pass. 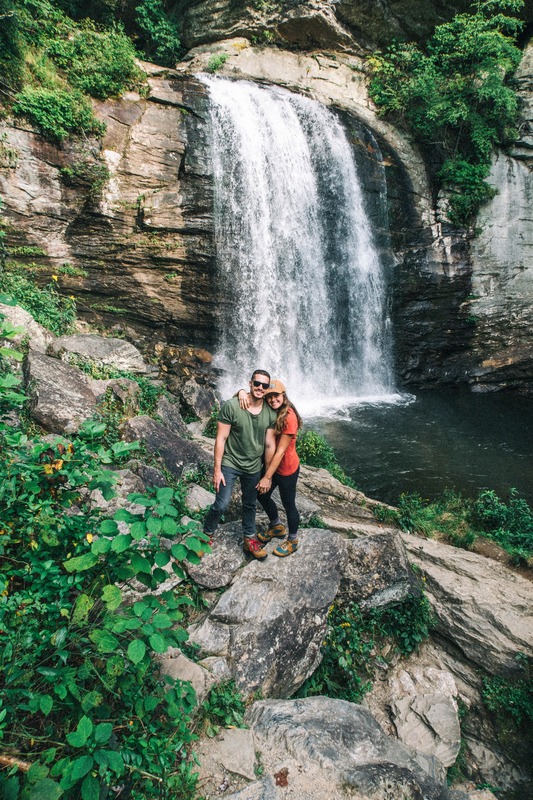 North Carolina is packed with the most beautiful hiking spots. I’ve always worn my tennis shoes out on hikes and complained about my feet hurting for days, so I think it was a smart choice to finally get hiking boots for Kyle and me. These boots are a gamechanger. My boots are the Danner Jag Hiking Boot. They are lightweight and made up of suede and canvas material. They are super comfortable and cushioned which makes it feel like I’m walking on a foam mattress. 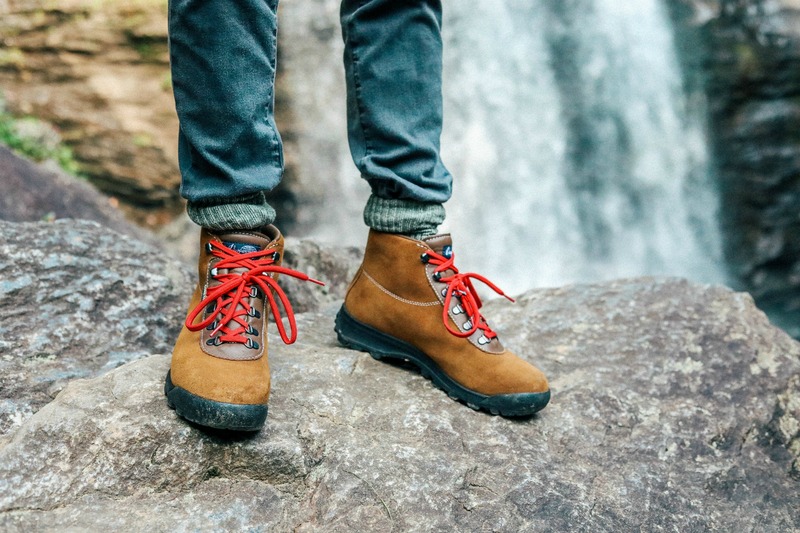 These are perfect if you’re hiking in a wet area because they contain waterproof lining to keep your feet dry. The waffle rubber outsole grip helps you walk safely across a variety of surfaces. Last year, I’d come inside with ice cold feet from walking the dogs, so I’m excited to see how these change up my dog walking game! For me, these ran true to size. I didn’t order up or down, and they fit comfortably. Kyle picked out the Vasque Sundowner GTX backpacking boot. He said they were the most comfortable boots he’s ever worn. They are also waterproof, full-grain leather, and have a midfoot stabilizer. The sizing ran true to size for him as well. If you’re looking to get a gift for your significant other, these would be perfect! I think what makes these boots even better was the purchase of the SmartWool socks. This was one of the brands that I learned about after going through the Backcountry site and reading product reviews. These socks are super comfortable and cozy! 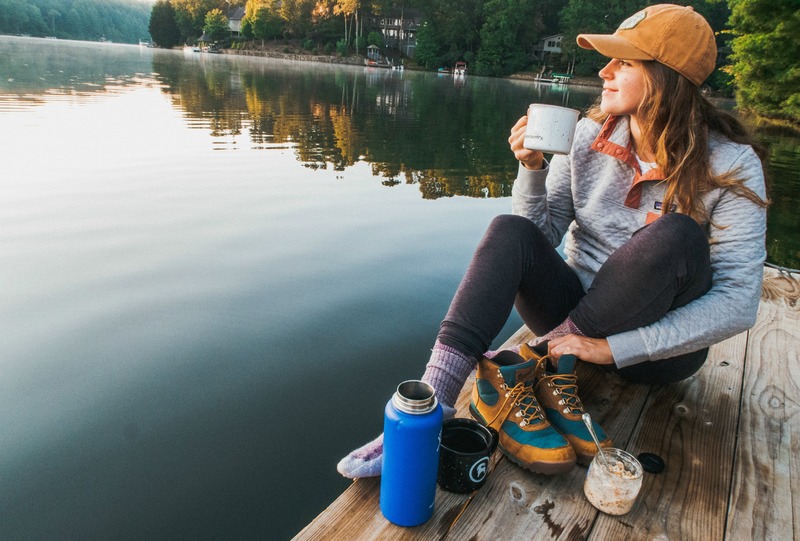 They contain layered wool in high-impact zones for extra cushion, have an arch brace that holds the sock in place to reduce blisters or bunching, no annoying seams at the toes, and made from merino wool to keep the moisture away from the foot. I can’t wait to come back in October when all the leaves on the trees start to change. 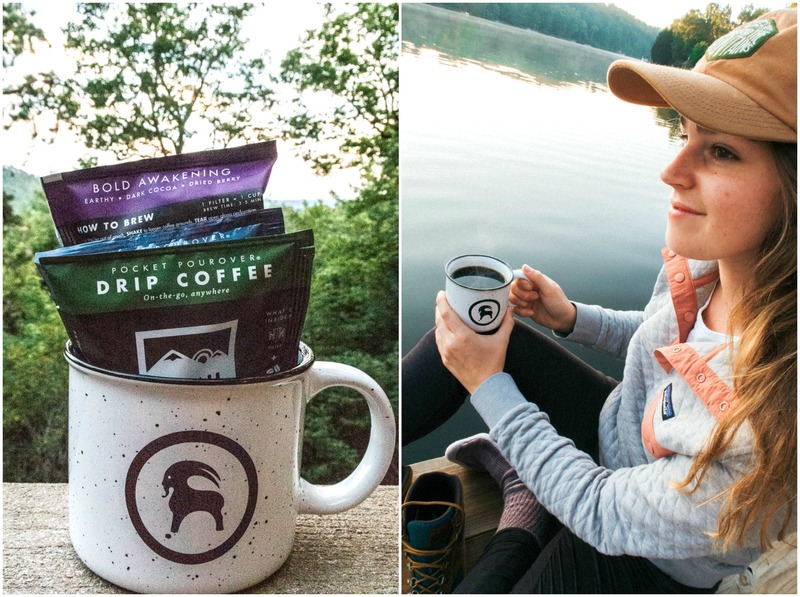 If you do find something you love on Backcountry, you’ll have the opportunity to contribute at checkout to Backcountry and The Nature Conservancy to help support its mission of protecting the lands and waters on which all life depends. Backcountry has been a partner with The Nature Conservancy since 2008. And just like that, we were home! I hope you find something to take with you on your next GOATworthy adventure! If you have any questions about the items I wore or used in this post, let me know in the comments! What is a GOATmoment you’ve had? What is number one on your outdoor bucket list? What adventure would you like to see me go on? I’m leaving my email. Can you send me the listing to this place? I loved the vlog! Will you do part two? 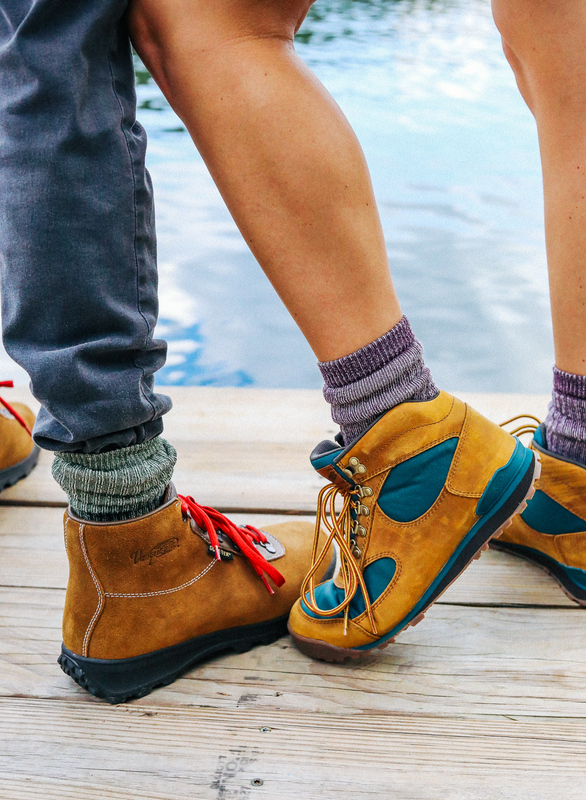 I ordered the Danner boots last week when you shared this post. I took them on my hike and you were right! They are so comfortable and durable. Thank you for the suggestion. Is that grey shirt from Backcountry too? What food did you pack for your meals? I’m going on a camping trip in a few weeks and want to keep it healthy. I need some ideas! I’m going to do another post on the trip with food details and some other stuff! But we ended up picking up salads from our fave to-go place to eat throughout the weekend! Great post! So jealous of the mountains! 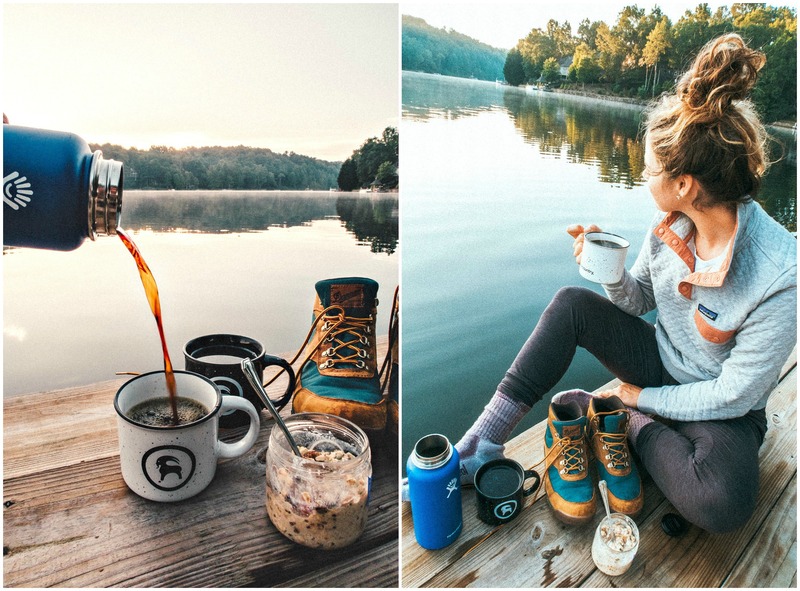 Where did you get your leggings/pants shown in the “coffee/dock” pictures? Thanks, Katie!! They are actually Reebok joggers! Girl! Your photos have gotten sooo good! I especially the one of you sitting on the dock with your coffee, after your list of tips. Number one thing on my bucket list is gorilla trekking in Rwanda. Some other honorable mentions – visit all 50 states, go to Ireland, road to Hana, drive route 66, see the northern lights in all their beauty! Those are definitely all GOALS on your bucket list! I just bought the pullover because of this post! I can’t wait to wear it on my camping trip next weekend with my girlfriends. I went with the stone blue! Have you ever been camping at the beach? Not yet, but I’ve seen some cool spots where you can camp by the beach in the Carolinas! My husband and I are currently on our honeymoon in the Boundary Waters Minnesota. Now that’s a camping experience for sure! I don’t want to leave! Sounds amazing! Enjoy your trip, Stacy and congrats to the both of you! 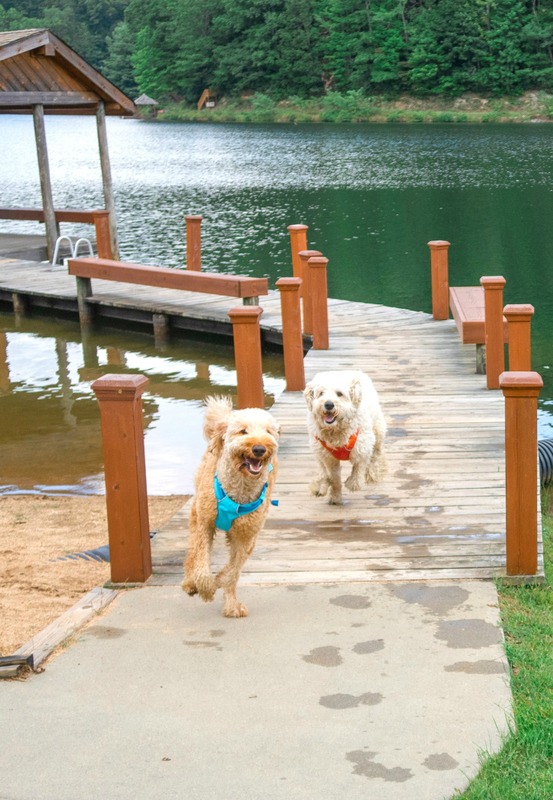 Are you ever worried about your dogs being off leash? I’d love to see your camping posts! 3. You should try backpacking! Do you think Kyle would be up for writing a gift guide for boyfriends? I think that’s a great idea and I’m sure he would! I am currently trying not to buy EVERYTHING on Backcountry! I really need to stock up for Fall so I am so excited about this post! I love to hike and I see multiple comments about the Teton Mountains and Yellowstone. I went on a weeklong trip to Yellowstone when I was in college and we hiked all through Wyoming, Montana, and Idaho. It was amazing! I definitely want to plan a trip back there. For now I am looking for more hiking trails here in Richmond, Virginia that I can take my dogs to! Lol it’s hard!!!!!! They have the best athleisure! I think the Teton mountains needs to happen ASAP!!! Let me know if you find any! We aren’t too far from Richmond! Is the duffel bag available? Looks like they sold out! The backpack is, but I’ll keep you updated if they restock! How far away do you live from the mountains? You live in Charlotte right? Yes, we live in Charlotte 😊 We were about 2 hours from Pisgah falls! I have my eye on those mugs! The ceramic ones? They are amazing! My goodness, these are great photos! I haven’t had a GOATworthy moment yet but we are visiting Canada this fall and I think it’s going to happen. You’re going to LOVE Canada!! I like the idea of having a camera bag for vlogging. Could you send me the link to this one? It’s so convenient. You can put your phone, keys and lens cap in it! I ordered the medium and I’m 5’8! Taralynn, I’m in love with these photos! I think you’d love to go camping in Colorado. My goat-worthy moment was when my boyfriend surprised me with a trip to Hawaii and we followed your travel guide! WHAT AN AMAZING SURPRISE!! The boyfriend of the year for sure! I think I’d love that too!! Fantastic post and all of your photos are incredible!! 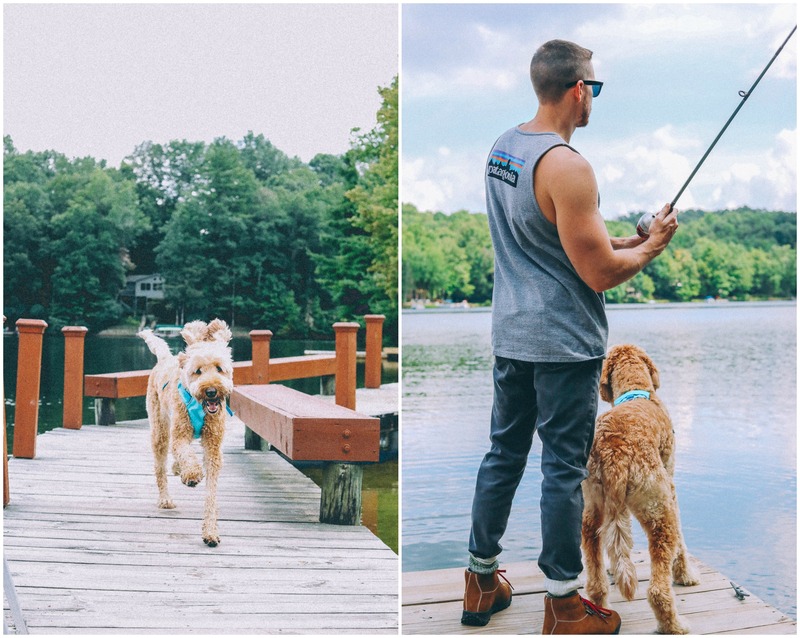 I try to be out doors every weekend with my dog, hiking, walking or kayaking. I think you would love a rafting camping trip, they are so awesome no technology just nature at its best and you get to see amazing scenery you may miss if hiking. My best GOAT worthy moment so far was camping in the forest waking up to birds and the sun just starting to come through the trees so magical. On my outdoors bucket list is camping my way through the South Island of Nz in spring. Thanks so much. I always love hearing about your adventures. You’re always doing some cool! I went on a rafting trip in Montana about ten years ago! It was amazing, and I definitely need to do it again! We came across a bear in the river and it was so scary, yet so incredible to see a bear in its natural habitat. That does sound like a magical GOAT worthy moment!! & and a pretty awesome bucket list! Have a great day, Harriet! Which camera did you use for the coffee pictures and what apps filter? I used a Canon G7X Mark II for the coffee pics. It’s the camera I usually use for video, but it also takes great photos! I usually edit with Lightroom, or VSCO when I’m on the go! I have created my own presets in lightroom, but most of the time I’ll lighten, brighten, add saturation, sharpen, or use the E’s and C’s! I’ve had so many GOAT moments… I went to the Outer Banks with my mom this summer and doing the wild horse adventure tour was literally one of the most amazing experiences of my life. If you go to the banks, you HAVE to do the tour. They are amazing! I want to go back to TN and/or visit Asheville and go hiking! I have yet to get to Asheville and really want to see Biltmore! I’ve heard that!!!! I’m glad to hear you had a great time, and I’ll add it to my list! Hoping they are recovering ok with the hurricane! Me too! Kyle and I have been eyeballing Switzerland. What a great gift for your boyfriend!!!! Have fun on your trip! You’ll have to let me know how it goes! What a great post! Perfect timing too! I am getting ready to go up to Winter Park for some fall hiking and chilling end of September weekend. Your post and pictures are getting me even more excited. I am happy to get back into your blog. Always so cute and inspirational. 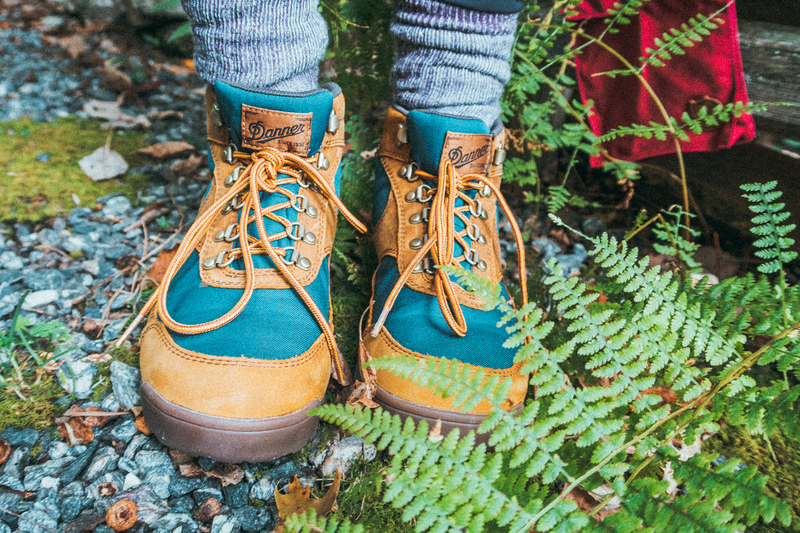 This is the perfect time to head up on a hike! Hopefully, the trees start changing more in a few weeks! Thanks for the kind words and stopping by to comment! Have you every been to the white mountains in NH? Those are my favorite! 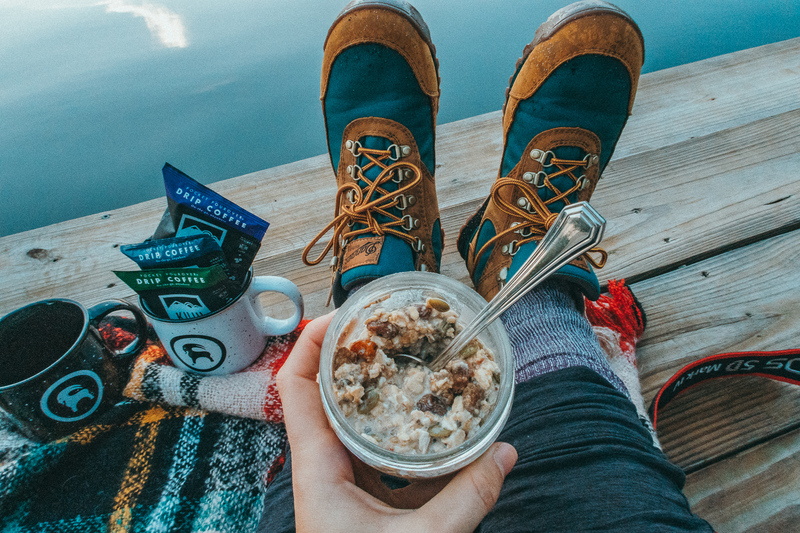 Next hike or camping trip you have to check out Good to-Go Meals they are delicious and healthy too! Kyle has been telling me about the mountains up that way! Adding it to the list!! We will totally check that out! Thank you! I am seriously in LOVE with every single one of these photos. Every other one I was just like, ‘ohhhh they need to frame that. Oh wait, that one too!’. I love the outdoors but Ben is next level obsessed. He would run around shirtless in the wild 24/7 if he could. Backcountry looks like the kind of site we could spend WAY too much money on! 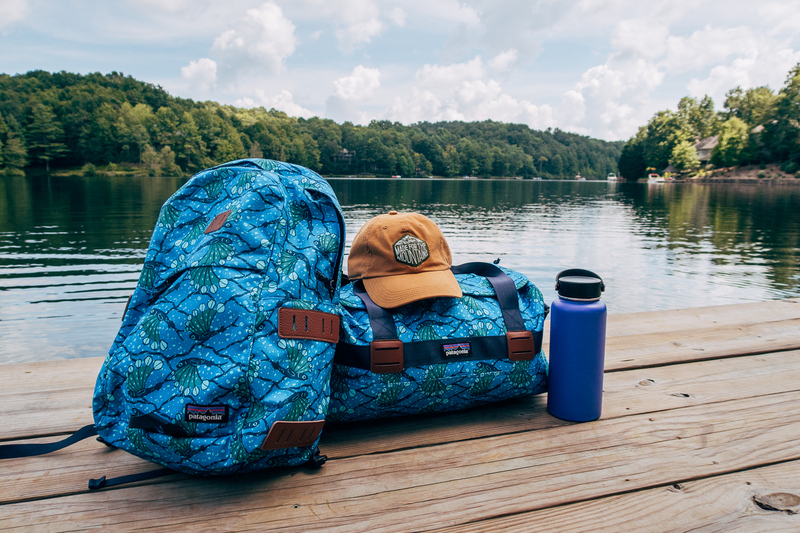 So much cute stuff and perfect items for camping. I need some new hiking boots! Boating on the island of Elba in Italy was for sure a GOAT moment. It’ll be hard to top that in the future! Does bungee jumping count as an outdoor adventure?? Definitely want to do some epic bungee jumping in an amazing location! You guys need to go on a ski/snowboard adventure! I bet you guys get out so much because it’s BEAUTIFUL where you live! YES BACKCOUNTRY IS SO YOU GUYS!!!! That sounds like a dreamy Goat-worthy moment!!! We have been talking about it for this winter!! I LOVE this post! I am super outdoorsy myself and I’ve been itching to get back out hiking and camping! I went to Appalachian State University in Boone, NC and graduated May 2017. I miss the mountains soo much and would love to live up there. If you don’t mind me asking, where did y’all stay on your trip? I have been looking for good spots to camp at for the fall. Boone is so beautiful! We’ve driven through there, but I need to stay and explore! I hear so many great things! We stayed in an Airbnb! I’ll be doing a travel post for the trip with more details soon! I love this post!! You guys are such models! 😛 I need to check out Backcountry– we’re set for another camping trip in a couple of weeks! You’re the sweetest! You’re going to have a blast camping. I highly highly recommend checking them out for all your needs! Great gear…but what is technical clothing? 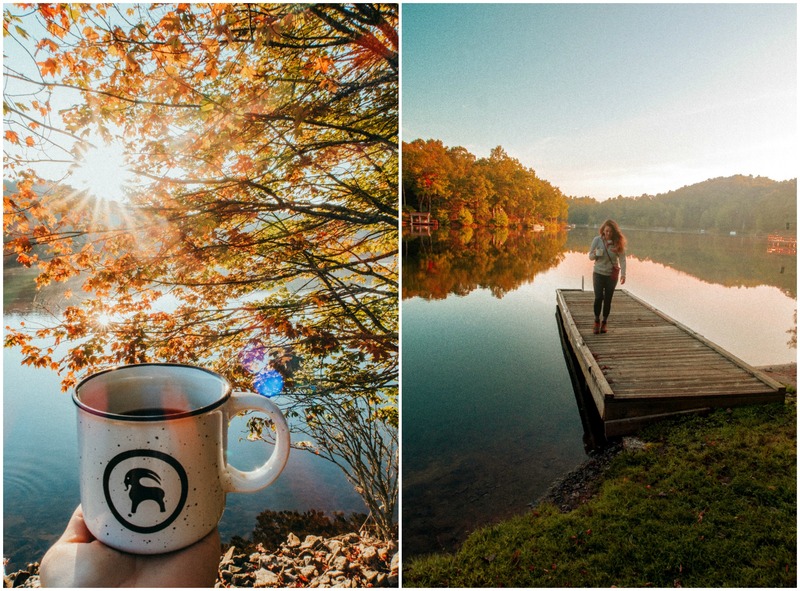 All these pictures are beautiful – makes me so excited for fall! How did you manage to get all these? Did you use a tripod? My parents met us up at the lake for the weekend. I’m doing another recap post of the trip and a video for more details! My mom is actually a pretty dang good photographer! Oh my gosh I was 100% sure there was going to be a proposal in there somewhere! That Patagonia is so cute! Are you wearing the grey one? haha! I’ll have to agree! What a nice getaway!! 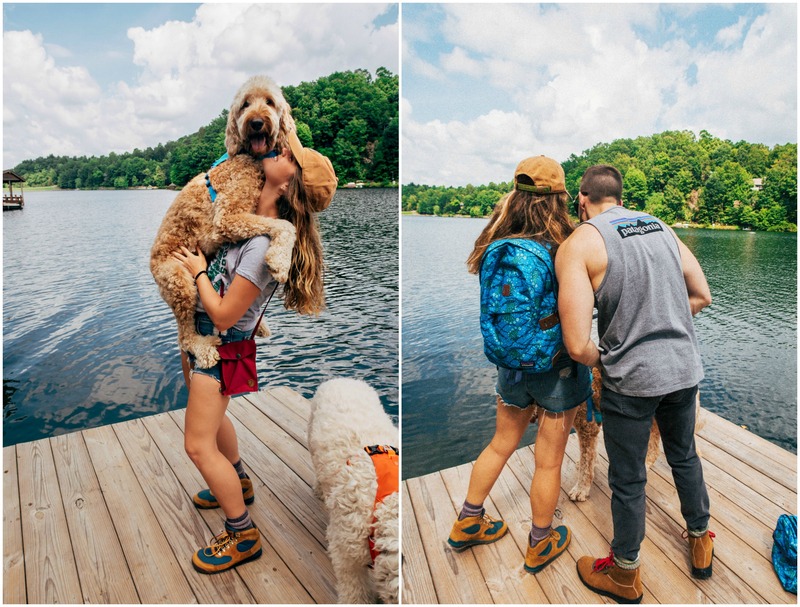 We have similar harnesses and anytime we put them on our dogs they just KNOW we’re about to go hiking or camping. 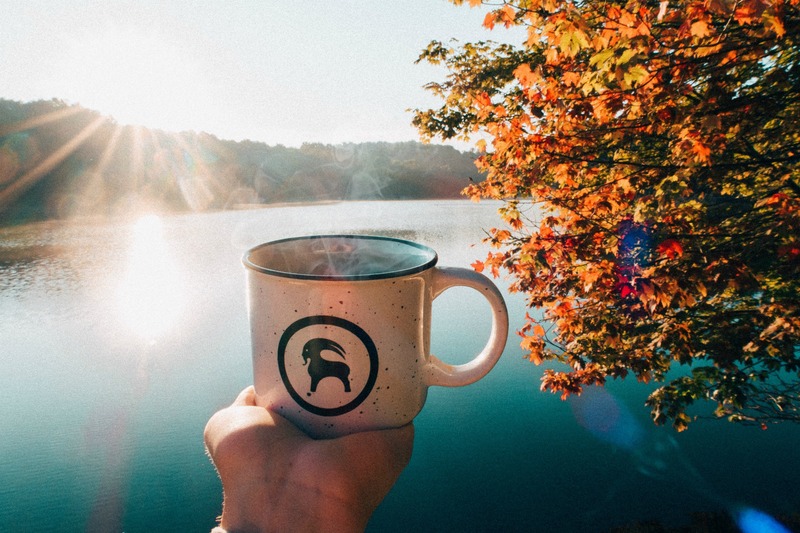 Those pictures of the Fall leaves with that steaming cup of coffee is making me miss cooler Fall temperatures! So jealous!! 1. GOATmoment would probably be this past weekend! My husband and I celebrated our 5 year wedding anniversary at a local Tucson resort. We had some pretty awesome moments! 2. Number 1 on our outdoor bucket list is similar to your moment on this trip. A falltime trip up to the mountains, staying in a cabin and escaping technology for a few days. 3. You should take a trip to the desert! Tucson has some gorgeous locations and I’d be eager to see the photographs you take surrounded by cacti and desert rocks!! Dogs are so smart! They always know when we are heading somewhere! The mountains were great compared to the HOT weather two and a half hours south! Happy anniversary to you and your husband! What a fun way to celebrate it. Kyle has been wanting to head to Tucson for a while now and we will definitely add that to our list soon!! Your photos are breathtaking. 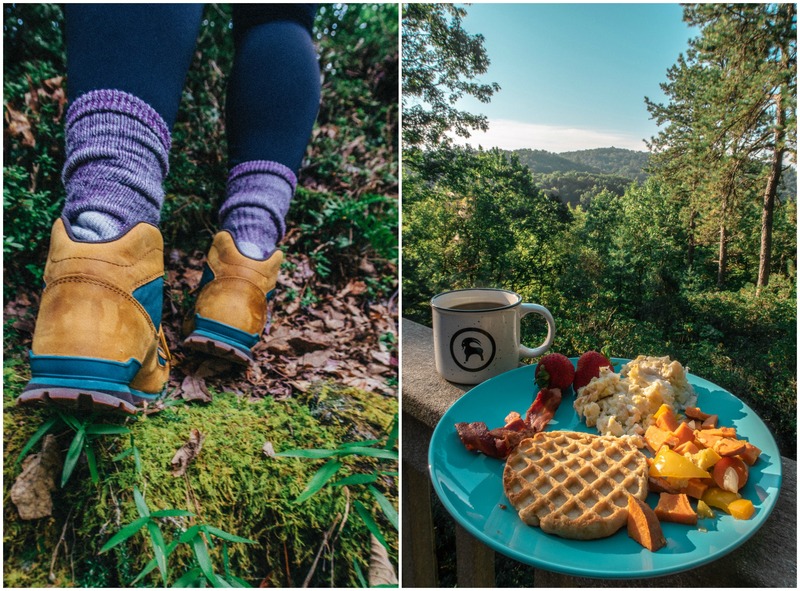 I’m going to look into the Danner boots and Patagonia pullover for fall. I visited Yellowstone when I was in 8th grade! I DEFINITELY need to go back!! 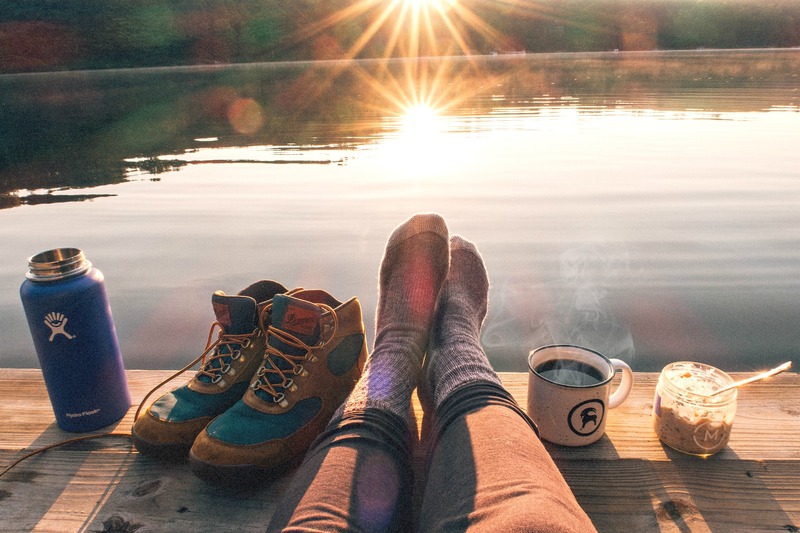 I love SmartWool socks! You should try DarnTough socks too. They have some thin ones that I love for the warmer months. Your camping trip looks gorgeous! I love camping. I grew up in the mountains and camping was our family vacations! If you ever get the chance you should go to the Tetons in Jackson Hole. I worked on a ranch outside there and that’s where we’d go on the weekends, it’s amazing! Thanks for the tips! 🙂 I’ll look into those!! Jackson Hole is BEAUTIFUL. I remember going there when I was in middle school for a trip. I need to go back asap and relive it now that I’m older! You’re so right! Nature is pretty dang amazing! So sorry to hear about Hong Kong! We just had a hurricane here, but Category 5 sounds extremely dangerous! I’m so happy to hear that you’re safe! I think you’d love to spend some time at a national park taking photos! You definitely have an eye for that. The pullover I wore in this post actually fits pretty true to size! I ordered a medium and it’s not too big and not snug. I know that the fluffier Patagonia fleece pullovers run pretty small.